We all have days when we struggle to get even a little food inside ourtoddlers. Why not increase the nutrition of their food? So even if they eat only little of it, it would at least be nutrition packed. 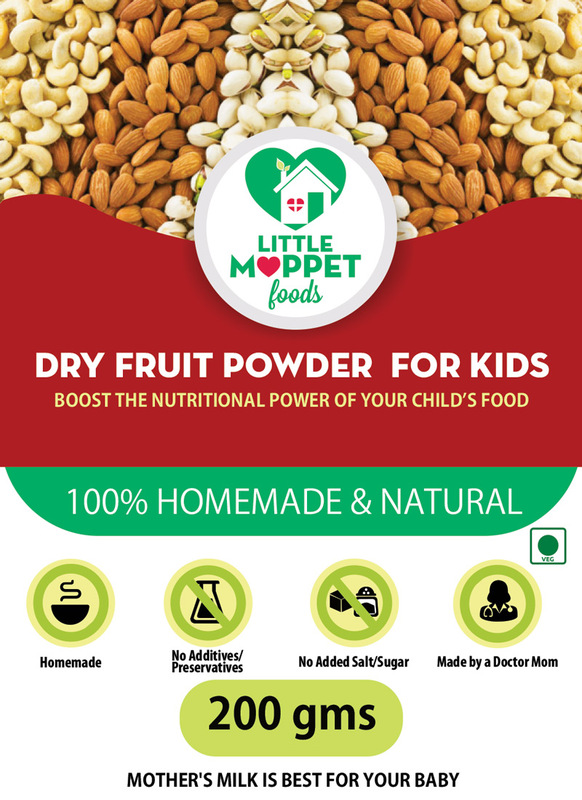 Just add Little Moppet Food’s Dry Fruits Powder to your child’s food and relax. 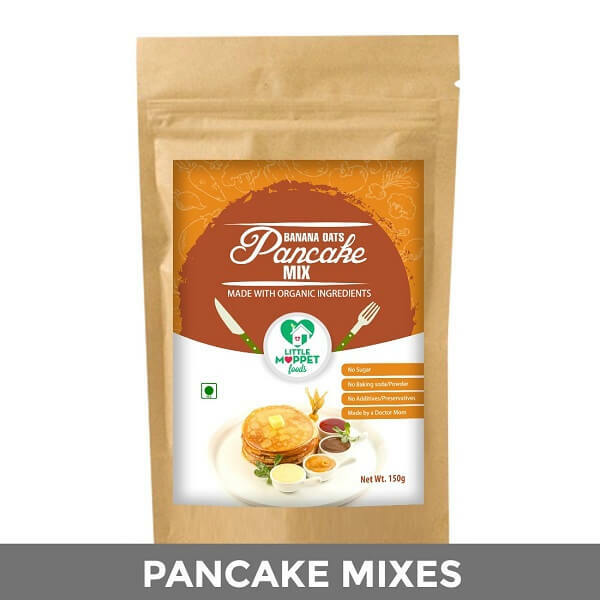 Each packet contains 100 gms. 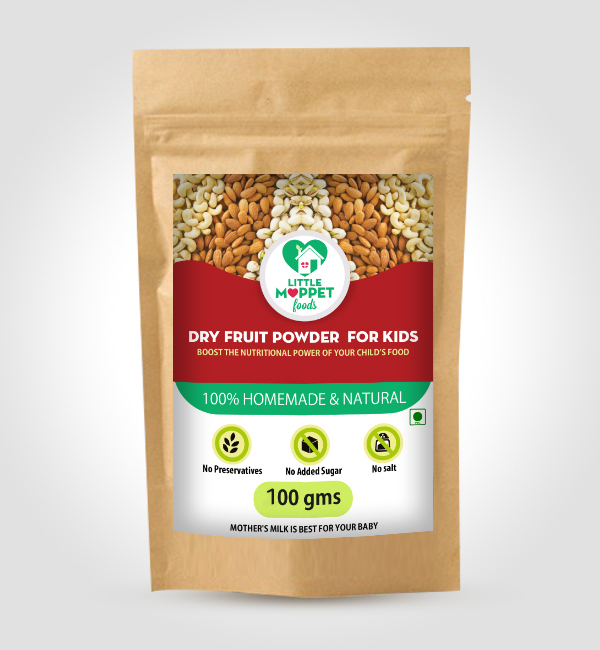 The Dry Fruits Powder not only increases the nutritional value of the kid’s food, it also has weight gaining benefits. 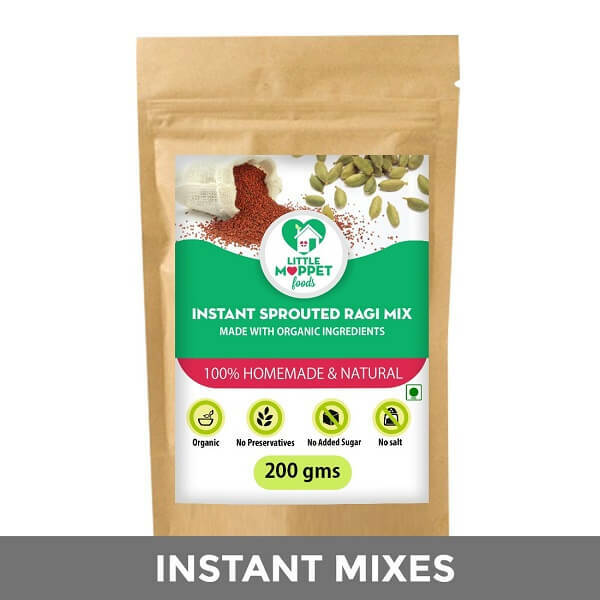 Almonds help with brain development, cashew nuts are great for development of muscles and bones,pistachios are high in fibre, turmeric is a natural antiseptic and nutmeg helps the kid sleep better. 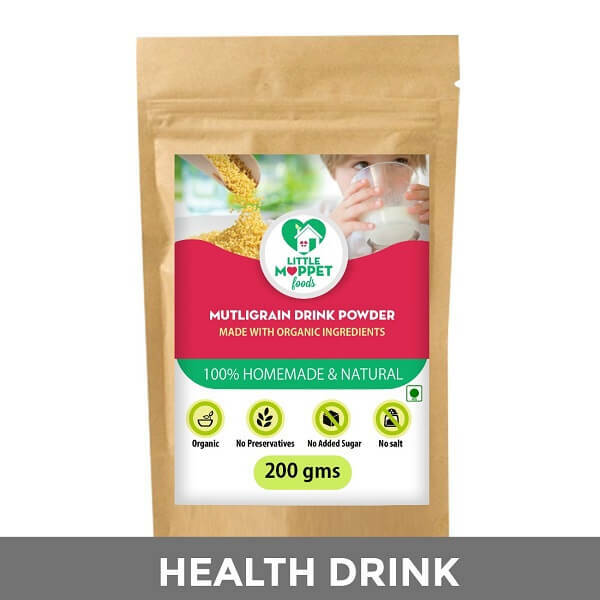 How to Prepare: Add one teaspoon of the the powder in hot or cold milk, stir well and serve.Add one teaspoon of powder in 100ml of cooked porridge, stir well and serve. 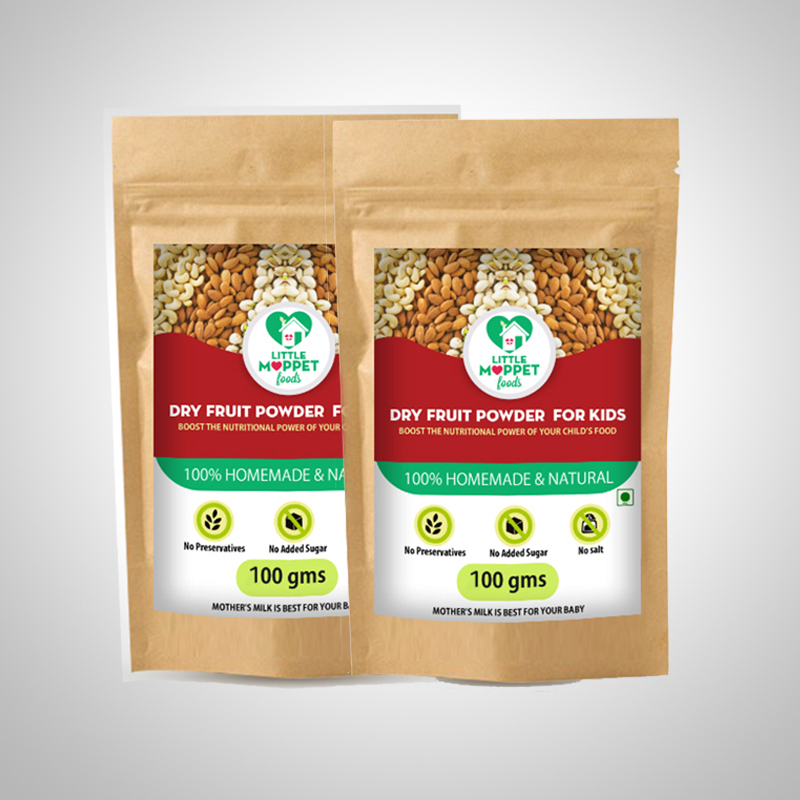 Precaution :We grind our dry fruits by hand, due to which it doesn’t get ground to a very fine powder. 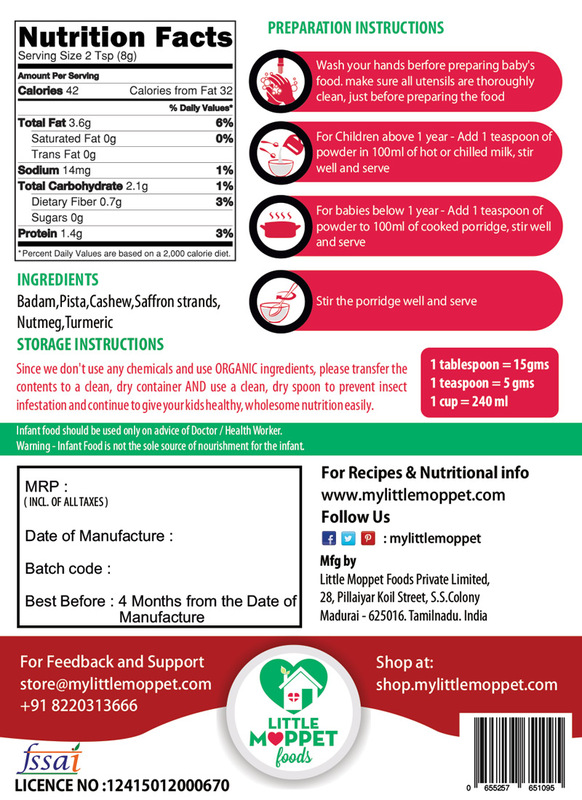 For young kids, we recommend sieving the powder. Older kids used to lumpy textures can have the powder without sieving, but please check before once serving for bigger particles. 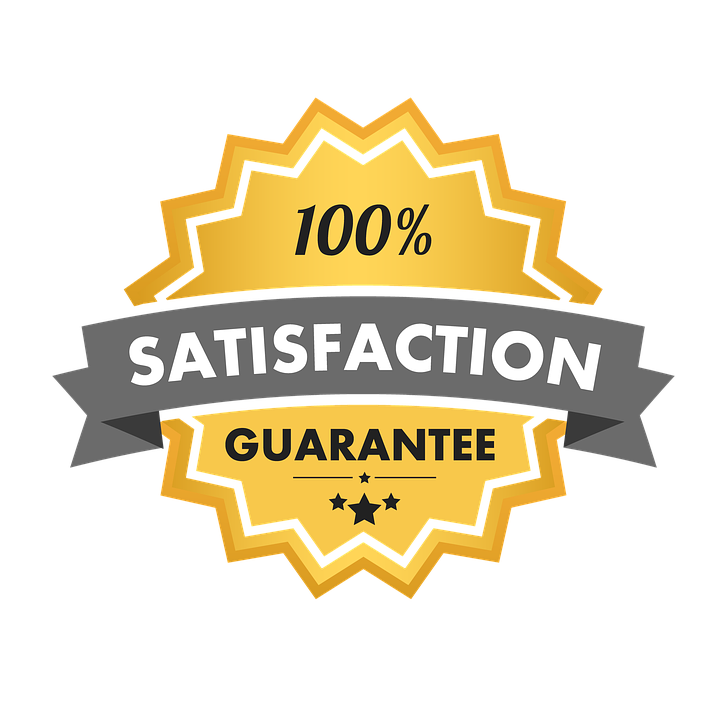 Get 200 gm pack at 10% discount. Ordered it two months back for my 19 months old baby. Was having a tough time giving milk to my lo..Added a teaspoonful to her milk. She loved it. In fact she asks for her “masala doodh” before bedtime :)daily…thanks to Dr. Hema..
Hii . . 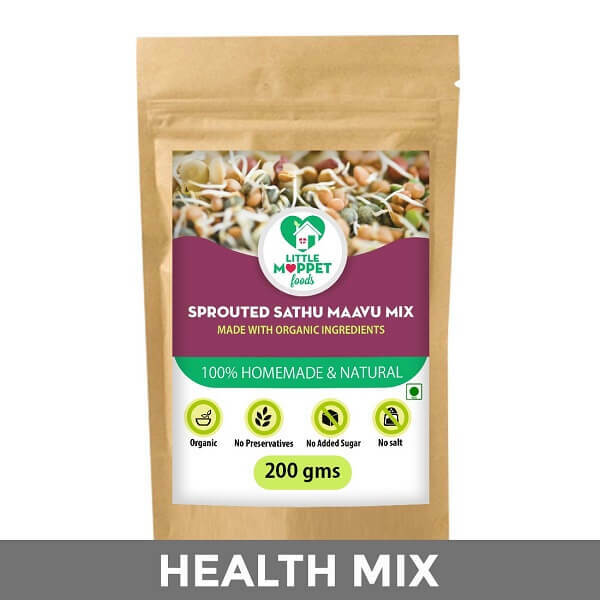 I am mother of 1.5 yr old & recently joined my office back . . Was in search of organic food n after reviewing many brand ordered this dry fruit mix . . Was very happy to see that it was similar taste n consistenty in comparison to what I used to make at home. . Thank you Hemaji . .